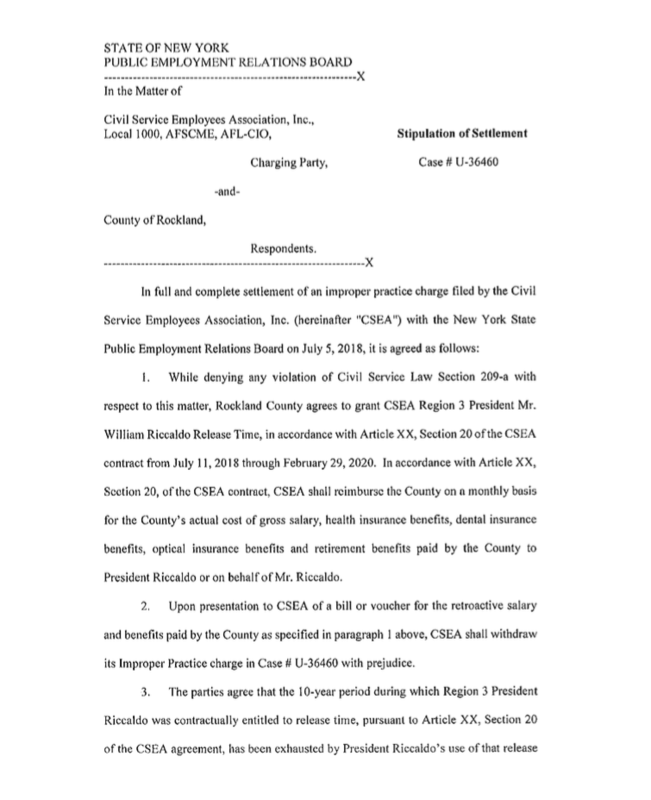 County Executive Ed Day and County Attorney Thomas Humbach announced an agreement through the New York State Public Employment Relations Board (PERB) regarding a negotiated settlement (see image gallery) with the Civil Service Employees Association (CSEA). The agreement runs from July 11, 2018, through February 29, 2020, and grants CSEA Regional President William Riccaldo paid leave, Release Time, from his job title as coordinator of facilities maintenance in the Department of General Services. His pay and benefits will be reimbursed by the union on a monthly basis. 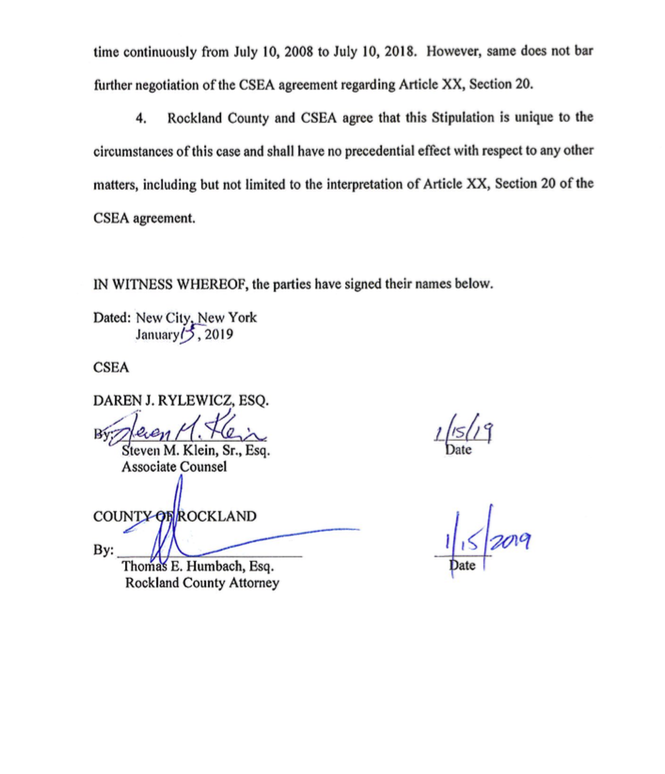 County Attorney Thomas Humbach signed the agreement which went into effect immediately.